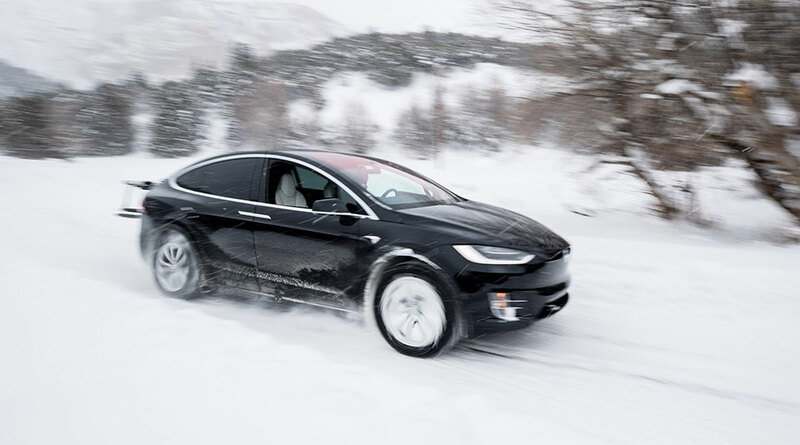 Editor’s note: How the 2018 Tesla Model X performed in a comparison by Trucks.com and winter sports enthusiasts with the Chevrolet Tahoe, Ford F-150 and Subaru Outback on a round trip from Las Vegas to Brian Head, Utah. Find the other vehicles and the full report here. The biggest surprise was the Tesla Model X. It stood out by delivering performance and traction that our panelists – all own gasoline cars – never expected from an electric vehicle. “I was obsessed with the speed, the quickness, the handling,” said Samuel Lippke, an expert snowboarder and Long Beach, Calif., photographer. But as configured, the Tesla Model X P100D is a $165,550 SUV, putting it out of reach of most buyers. The Tesla Model X is an all-electric crossover with seating for up to seven passengers. Ours Model X P100D was configured with five seats. 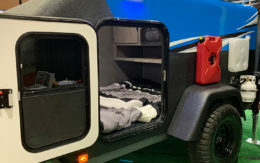 It’s powered by a 100-kilowatt-hour battery and dual electric motors. The powertrain makes the electric equivalent of 762 horsepower. The Model X uses a one-speed transmission and offers 289 miles of range. Without a doubt, it was the most fun of the four vehicles to drive. That’s in part a function of the electric drivetrain that provides instant power to the wheels. 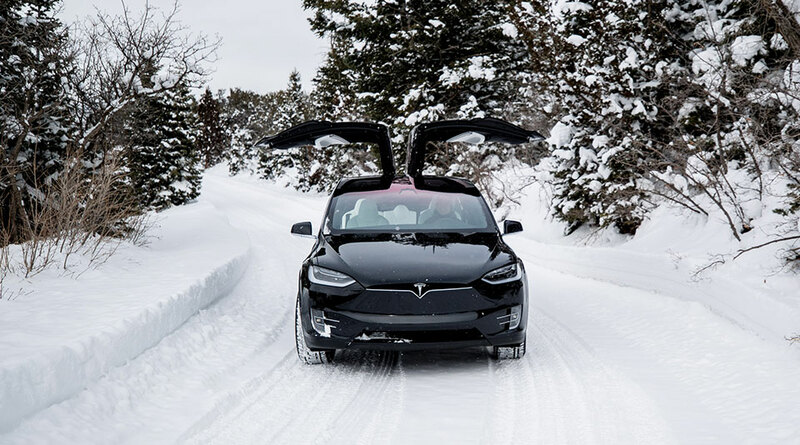 The X also has a low center of gravity, thanks to the location of its heavy battery pack below the floorboards, another factor that improves handling and driving dynamics. It’s a comfortable ride. The visibility was great, helped by the X’s giant panoramic windshield and moonroof that made it feel as if you were at the front of a helicopter. 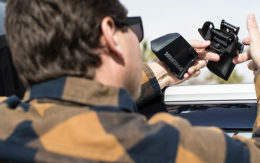 Cameras give the driver an instant view of the vehicle’s surroundings. The giant 17-inch touchscreen display was perfect for mapping routes and tracking other functions, such as climate control and music selection. We quickly learned that when you are driving an electric vehicle you have to give your route a touch more thought. This is the range anxiety issue that stops many buyers from considering an electric model. You can’t just stop at the corner gas station to refill. You have to know where you can charge. When we planned the route, we included one of Tesla’s private network of 500 Supercharging stations outside a Starbucks in St. George, Utah. That was 130 miles from our starting point and the perfect place to quickly top off. We stopped for about 20 minutes and then headed another 85 miles up the mountain to Brian Head. 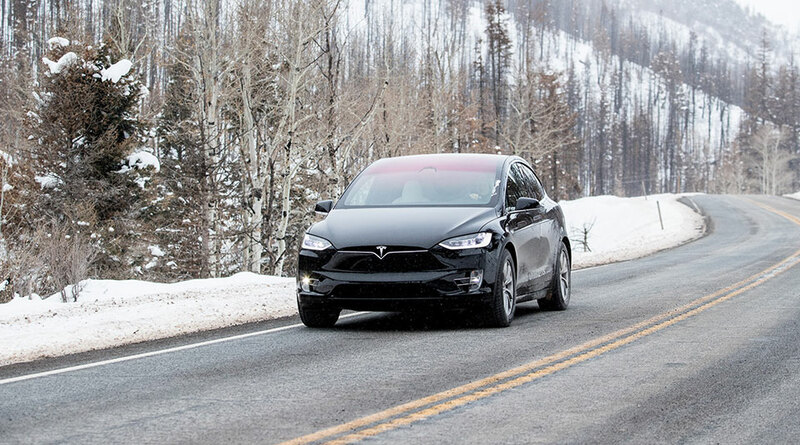 We used up some additional charge testing the Model X around the resort town. On the trip back, we made the mistake of plugging the Tesla into a 110-volt wall socket. We thought this would be good because it was in an enclosed parking garage out of the frigid weather. But the X gained only 3 miles of charge per hour – not enough to comfortably get us back to St. George. We solved this the next day by driving to a Tesla Level Two charging station at a hotel just a few blocks away. About 40 minutes of charging proved to be enough to get us down the hill to the Supercharger in St. George and then on to Las Vegas. All told, this was a minor hassle that would become less so if we drove the Model X every day and developed a better understanding of charging speeds and locations. 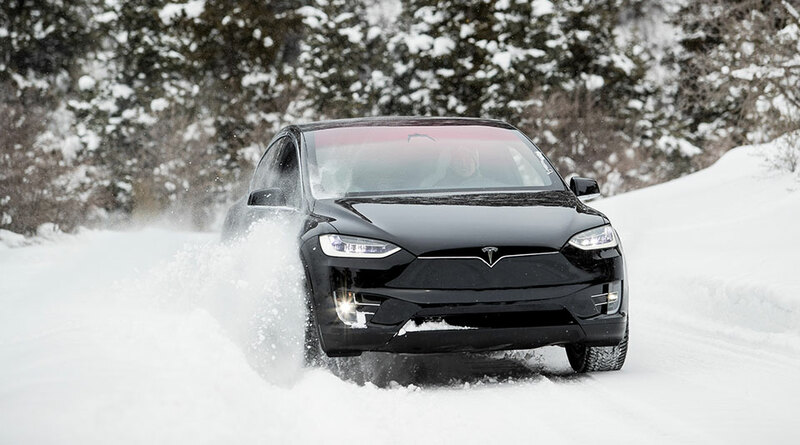 Every Model X comes standard with automatic emergency braking as well as side-collision and lane- departure alerts. We also had an enhanced version of Tesla’s Autopilot system. The technology is impressive, but we would strongly caution drivers to view the system as a co-pilot. It backs up but does not replace the driver. We found that some aspects of Autopilot felt unnatural to humans schooled in being in total control of their vehicles. 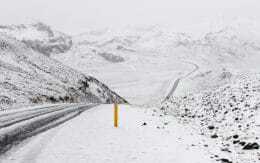 Our snowboarders and skiers didn’t like using it to change lanes. This was a case where the computer might know what is safe based on using sensors to understand the location of surrounding traffic. But the lane changes seemed abrupt and didn’t always feel safe to the Tesla’s occupants. “I thought that Jesus had the wheel here. Like, what is happening?” Lippke said. The bottom line: You shouldn’t use auto lane change without also checking your blind spots and it shouldn’t be used in situations beyond what the system is currently designed to handle. The rest of the system, slowing and speeding up with traffic and steering the Model X through the curves of the road, worked well. 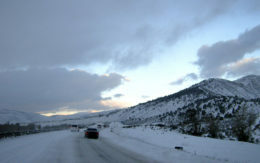 It’s a great driver assist for the journey home after an active weekend on the slopes. But remember, it does not replace the driver. The Tesla’s unique Falcon Wing door system makes it tricky to carry skies. You can’t use a roof rack. We opted for a Tesla-supplied hitch rack that can double as a bike carrier. The rack has a latch to trigger so it can be lowered to allow access to the rear hatch. 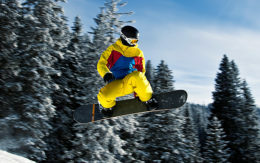 It got mixed reviews from our expert skiers and snowboarders. Others didn’t like the way the skis had to be mounted in the rack. Rack glitches aside, the performance of the Tesla changed some minds and perceptions about electric vehicles.